My grandmother, Winifred Jarvis, was born into the extended Jarvis family of Felsted Essex in 1902. She had four brothers - Albert, Ernest, Stanley and Percy. Albert emigrated to Canada at the age of fourteen before my grandmother was born whilst Stanley and Percy were too young to be called up for military service during WW1. 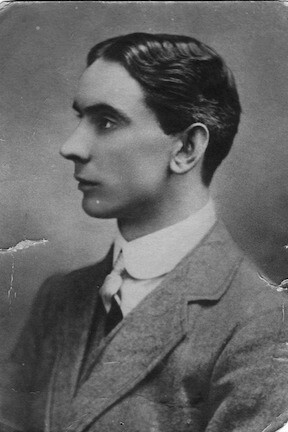 Ernest was the second oldest in the Jarvis family of Wood Farm, Felsted, having been born in 1880. A visit to the National Archives at Kew enabled me to examine the Medal Roll for the Royal Dublin Fusiliers which confirmed that Ernest Jarvis was private 40413 and had previously been private 50473 in the 8th battalion of the Suffolks. On the same page of this medal roll it showed a number of other men who had been in the 8th Suffolks and then transferred to the 1st RDF. 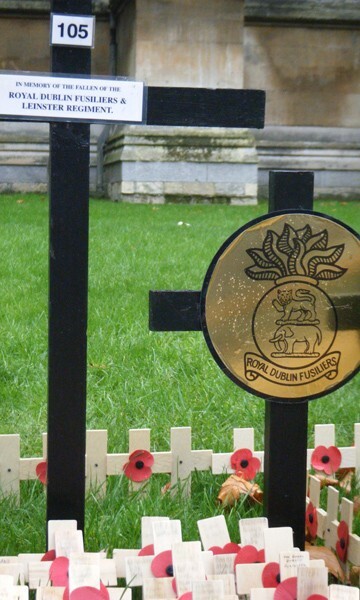 Further researches into the Medal Roll showed that thirty six men had transferred from the Suffolks to the RDF and there is a sequence of service numbers from 50468 to 50488 of the 2nd and 8th battalions the Suffolk regiment who became RDF men with service numbers from 40400 to 40420. My Great uncle was 40413. I will return to this link between the Suffolks and the Dubliners at a later stage. So exactly when did Ernest Jarvis, the reluctant soldier, go to France? The Suffolk regiment records are held at the Public Records Office in Bury St Edmunds. 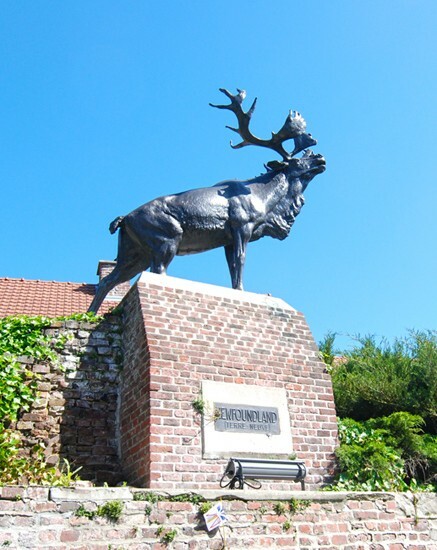 Whilst there are no lists of servicemen and no sequencing of service numbers, information from a regimental expert suggests that Ernest joined the 8th battalion Suffolks in May 1916 after his period in the Training Reserve and training in France possibly at the notorious Etaples Bull Ring. In fact, in the battalion war diary WO95/2039, an entry for May 28th 1916 refers to 48 other ranks ( ORs ) joining the battalion. The 8th Suffolks were in the 53rd brigade of the 18th ( Eastern ) Division under Ivor Maxse who proved himself to be one of the very best divisional and later corps commanders of WW1. 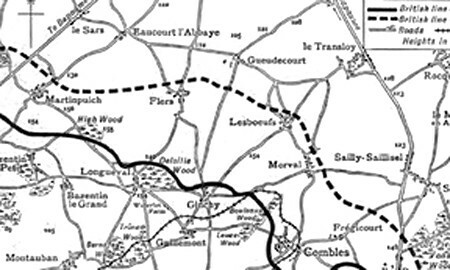 The 18th Division was based around Carnoy and Bray in the southern part of the Somme sector leading up to the battle of the Somme. On the fateful day of July 1st 1916 the 53rd brigade was in reserve to the 55th and helped in the capture of Montauban Alley by carrying up water and supplies. 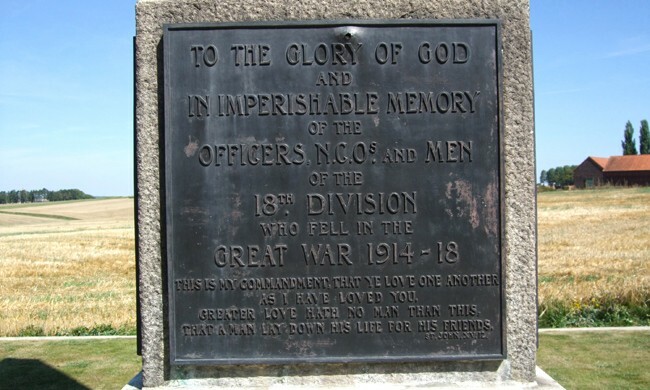 On the first day of the Battle of the Somme, the 18th Division lost 3300 casualties. Ernest and the 8th Suffolks had been lucky not to have been in the forefront of the attack. The Somme continued with attacks and counter attacks. On 18th July Ernest and his fellow Suffolks were involved in the task of trying to take Delville Wood. This was one of the many woods dotted about the battle zone and whose names have been attached to bloody fighting. Delville Wood has gone down in history as the scene of the massive slaughter involving the South African Brigade. That day the 53rd Infantry Brigade was given the task of extricating the South Africans from their precarious position in the wood . The 8th Suffolks were set the objective of clearing the Germans out of Longueval village. They were involved in two days of intense fighting as the Germans refused to give any ground. For Ernest and the others August brought a respite from the horrors of the Somme as they rested and trained in the Armentieres area waiting for their next task. 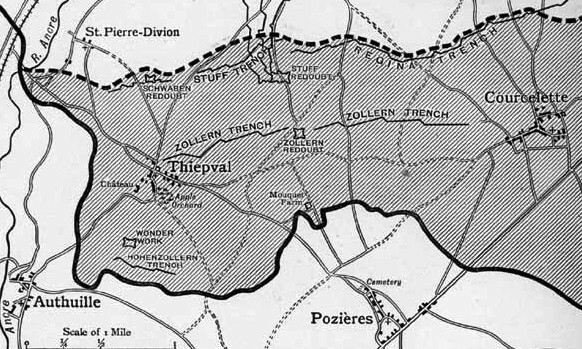 This turned out to be the attack on Thiepval, the fortified village that had withstood numerous efforts to take it from the early part of the war. On July 1st the 36th Ulster Division had almost taken it but had to withdraw because of a lack of support on its flanks. A testimony to their sacrifice is shown by the many cemeteries around the area and to the Ulster Tower standing near to their attack position. It is no coincidence that the place chosen for the Memorial to the Missing of the Somme should be Thiepval as it dominates the surrounding rolling countryside. 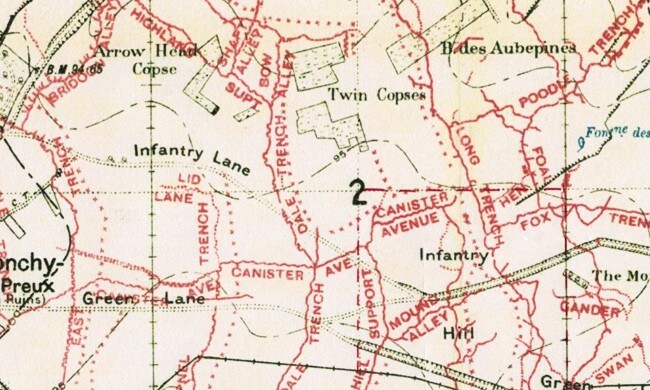 The IInd Corps attack was carried out by the 11th and 18th divisions. The 18th was on the left and the 8th Suffolks were in the forefront. Zero hour was scheduled for 12. 35 pm on 26th September 1916 and not the usual dawn attack. The attack was preceded by three days of artillery barrage using 105,000 rounds including gas. The Suffolks were given the objective of taking the Schwaben Redoubt which was heavily fortified and had with stood the July 1st bombardment. Interestingly Thiepval had been garrisoned by the same German regiment since 1914, the 180th Regiment of Wurtembergers, survivors of the original 1914 German army. At first the Suffolks reached the objective without casualties and the 27th September was spent in consolidation. On the 28th the Corps attacked the Schwaben redoubt with the 8th Suffolks the only regiment from the 53rd brigade strong enough in numbers to be used. 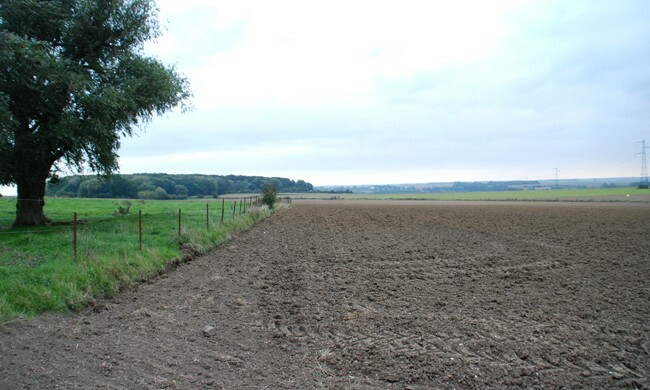 By 2.30 pm on 28th the Suffolks had gained a foothold in the Schwaben Redoubt. The battle for the complex system of trenches went on, with bombing parties trying to knock out the nests of machine guns. All the regiments of the 18th Division were used to capture the Schwaben Redoubt and beyond. During October and November 1916, Ernest and the 8th Suffolks were stationed around Albert, in and out of the front line trenches in front of Regina trench. 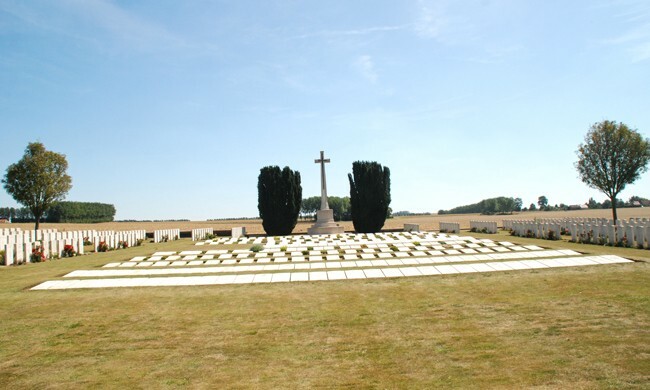 On 16th October an attack on Regina Trench was postponed until 21st and when it was eventually taken the 8th Suffolks had been withdrawn and took no further part in the battle of the Somme. The remainder of 1916 was spent in training around Hautvillers, north of Abbeville. Ernest had been in France for seven months when, in December, he went back to the UK on leave and married Edith May Halls in Chelmsford. This is confirmed in the marriage records on Ancestry and the fact that my grandmother and Ernest’s sister had memories of the wedding. It was during this time that he told his family just how much he hated being a soldier, reflecting the horrific things that he had been involved in and witnessed. Given that the normal period of leave was a week though there may have been extensions for marriages, we can assume that he had to return to the front sometime in January 1917. However, like so many others in the later stages of the war, returning from leave meant a transfer to another unit. In Ernest’s case he joined a very famous regiment of the British army, the Royal Dublin Fusiliers. At the outbreak of the war in 1914 the 1st battalion of the RDF was in Madras as part of the Indian army. On 19th November it sailed from Bombay to Plymouth, where it joined the 86th brigade of the 29th Division. This then sailed from Avonmouth to Alexandria and then landed at Helles on 25th April 1915 as part of the Dardenelles campaign. The casualties were so heavy that at one point it had to join up with the 1st Royal Munster Fusiliers to form a battalion known as the Dubsters. After being reconstituted as the 1st battalion RDF, it left Gallipoli on 1st January 1916 arriving in Marseilles on 19th March 1916. It was then involved with the other regiments of the 86th brigade in day one of the Battle of the Somme, attacking Beaumont Hamel following the explosion of the Hawthorn ridge mine and experiencing a high casualty rate. Part of the 29th Division was the Newfoundland regiment commemorated today at the Newfoundland Park Beaumont Hamel. Being an Irish regiment, the RDF had relied upon volunteers from the South of Ireland but after the initial burst of enthusiasm the number of volunteers failed to keep pace with the casualty rates. The South of Ireland with its domestic troubles, after the Easter rising of 1916, did not have conscription so that by 1917 many non-Irish soldiers had to be drafted into the Irish regiments. Thus Ernest Jarvis formerly Private 50473, 8th Battalion, Suffolks became Private 40413, 1st Battalion, RDF and went into W or X company. My researches into the war diary of the 1st RDF WO95/2301 shows that between 1st January and 5th April 1917, the battalion received 397 ORs and looking at the Medal Rolls shows that at least 36 men from the Suffolk regiment were transferred. Of these 36 there were 8 from the 8th battalion Suffolks with regimental numbers 50468, 50469, 50472, 50473 ( Ernest Jarvis ) 50476, 50477, 50478, and 50479 who all received new regimental numbers 40405, 40406, 40408, 40409, 40411, 40412, 40413 ( Ernest ) 40414. These men were : FRED BORTON, CHARLES COOK, MATTHEW FAHMY, HENRY GAMBLE, WILLIAM HOLLOWAY, SID HARRIS, ERNEST JARVIS and FRED LAMBERT. In January 1917 these former Suffolk men found themselves posted to a familiar part of the Somme. The 1st RDF war diary tells us that in January 1917 they occupied trenches around Carnoy and Guillemont. This was somewhat ironic given that this is precisely the area where the new Dubliners had joined the Suffolks in May 1916. In January and early February 1917 it was a routine of marching backwards and forwards from billets in the village of Meute to the front line trenches at Guillemont. Towards the end of February they were involved in assault practice ready for an attack on the Potsdam trench at Sally Saillise. The war was full of such minor operations causing numerous casualties and gaining little except to remind the enemy that they were the defenders waiting to be attacked. However, in the case of the Potsdam trench it appears even more of a hollow victory because within one month the Germans had withdrawn from the area fought over and retreated behind the heavily fortified Hindenburg Line. Not for the first time, many brave men had died in vain. 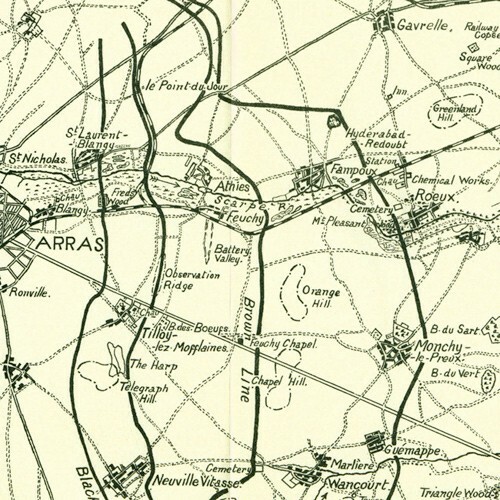 The RDF and 29th Division was now to be involved in the Battle of Arras which, though less well known than the Somme or Ypres, proved to be the shortest but most bloody of them all measured in terms of the daily rate of attrition. The war diary tells us that in March the 1st battalion RDF was located around Ville sur Corbie in the south of the Somme involved in training and resting. The diary points out that the battalion was in a weak state so that each company was reduced to only two platoons. During March and early April it received drafts of 321 ORs to bring it up to fighting strength. The attack was a total failure and the battalion was withdrawn from the area to recover. Amongst the missing was private 40413 Ernest Jarvis, the reluctant soldier. The man who hated the experience of war had become another casualty. 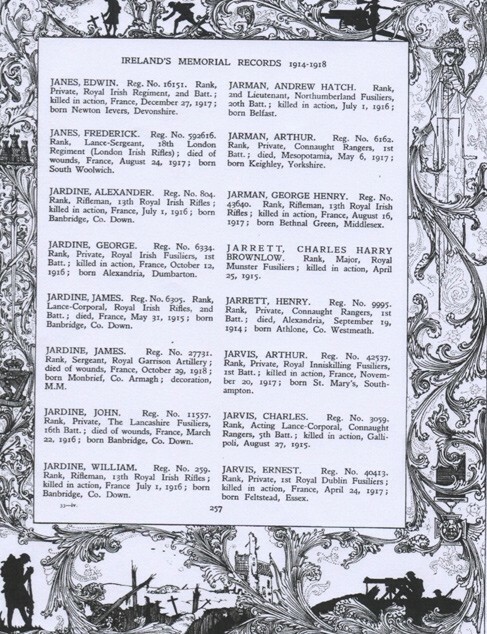 I do not know when my great grandmother Lucy Jarvis was informed that her son was missing but the Essex Chronicle newspaper of 6th July 1917 included his name in the wounded and missing column. It was not until April 26th 1918 that the Essex Chronicle confirmed that Ernest had been recorded as having been killed on 24th April 1917. 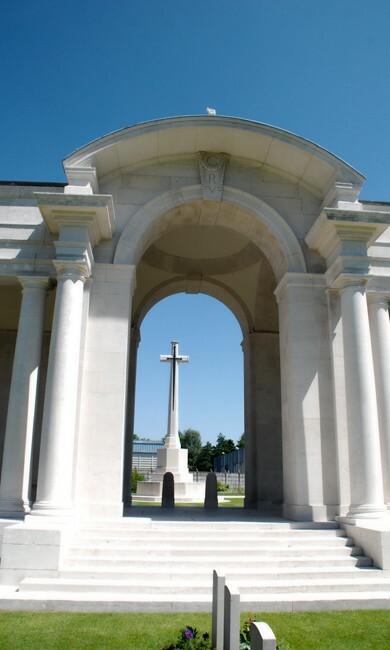 He has no known grave and is commemorated on the Arras Memorial to the Missing which includes 35000 names of men who died during April/May 1917 and March 1918 but have no known resting place. 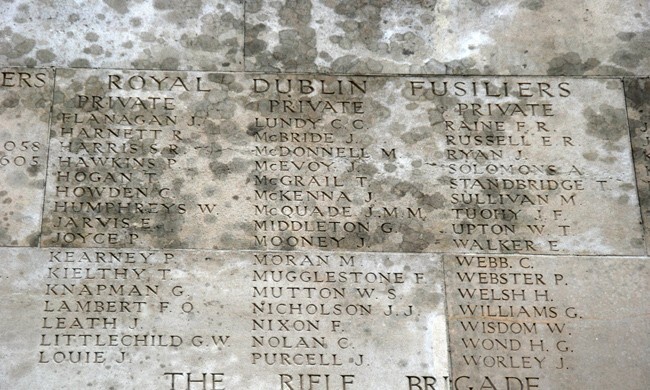 Amazingly, his name and those of the others killed and missing with him appear in Ireland’s Memorial Records (IMR). 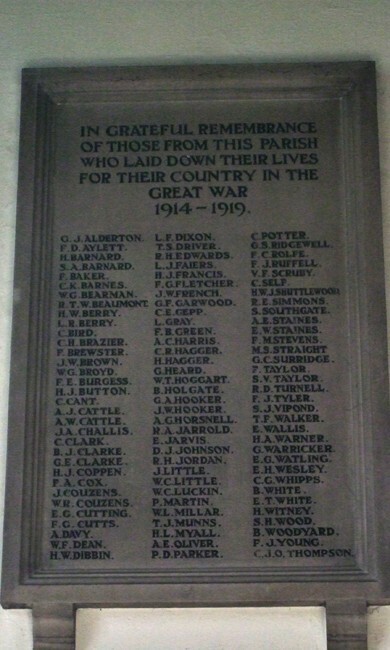 This was completed in 1922 and contains the names of 49000 men who fell in the Great War. They are listed in eight beautifully illustrated, printed volumes which can be found in the main libraries in Ireland. Ernest’s death brought devastation to the Jarvis family of Boreham, Essex. My grandmother and her many sisters would forever remember their gentle, elder brother whom they always called Bunny. His wife May never remarried having been widowed only three months after their marriage. Their daughter Beryl, who was born in 1917 and died in 2009, never ever saw her father. She like thousands of others lived in a one parent family the awful legacy of the war that touched everyone. It is now possible to obtain the last wills of soldiers fighting in WW1. 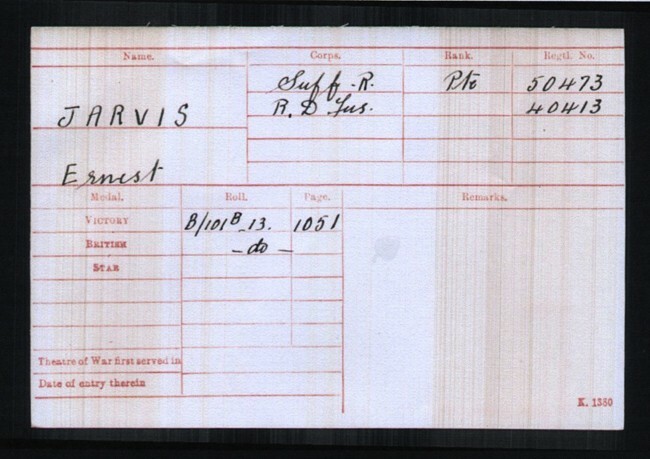 Ernest Jarvis’s will, like those of the vast majority of ordinary soldiers, was a short hand written message leaving his worldly possessions to his new wife Edith May . What is interesting is that this will was made on 5th March 1917 and signed by Ernest as Private 50473 Suffolk regiment .This means that his transfer to the 1st Battalion RDF could have taken place after 5th March 1917 and thus some of the above section of his story may not be accurate. On returning to the Front after his wedding in December 1916, Ernest might have gone back to the 8th Bn Suffolk regiment. If Ernest did return to the 8th Suffolks after his wedding then their War Diary WO95/ 2039 tells us that he went back to Varennes NW of Albert and the area of the Somme. His Battalion as part of the 53rd Brigade of the 18th Division was chosen to take part in one of the least known actions the Battle of Boom Ravine. An unusual action because it took place in the winter indeed a very cold winter of 1917. It was a continuation of the Somme designed to wear down the Germans prior to further attacks later in 1917 . The action took place around the villages of Miraumont and Grandcourt in the valley of the Ancre a tributary of the Somme. In this region were a number of sunken roads which made the attack more difficult . The Suffolks attacked at 5 45 am on 17th February in very dark conditions and with extensive mud caused by an unscheduled thaw melting the frozen ground . They could not progress at the pace of the creeping barrage because of the mud and a nest of enemy machine guns . After taking their first objective they failed to progress to their second and the attacked petered out along the whole front line. Boom Ravine was classified as a failure and an inquest was ordered which placed the blame upon the uncut wire and the fact that the enemy was prepared for the attack . There was even some evidence of the plans being divulged to the enemy by some deserters although no specific BEF soldiers were ever identified. A special report in the 8th Suffolk War Diary summed up another BEF failure although this Battalion war diary rated Boom Ravine as a success. These are some short extracts from this very lengthy report on the action of 17th February 1917. The night was pitch dark ground very much broken by shell fire and very wet and muddy and the enemy shell fire very considerable . At 5 45 am our barrage started and the waves more or less on their allotted lines started to follow it. By about 8 am the battle on this front had virtually ended and consolidation and the final clearing up was beginning. I cannot speak too highly of the action of all ranks . They met strong opposition , uncut wire and many snipers over which the barrage had passed. The conduct of all ranks was magnificent . Inspite of heavy casualties and the loss of all of their officers the attack was carried out with the utmost gallantry and determination. One of the most striking features was the very high moral shewn by all ranks of the Battalion. 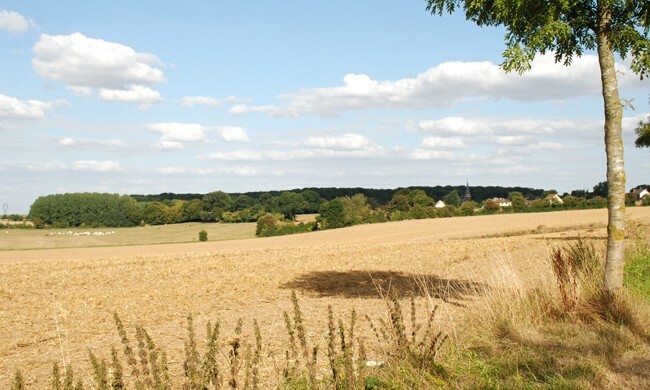 Following Boom Ravine , the 8th Suffolks went into Wellington Huts at Aveluy north of Albert . It could have been at this time that Ernest and others were transferred to the Royal Dublin Fusiliers. Looking at the RDF War Diary WO95/2301 it notes that between 1st March and 24th April 1917 the Battalion received 319 Other Ranks to bring it up to strength. As already explained because there was no conscription in Southern Ireland until later in the War most of these new men were from other regiments or new conscripts from the British mainland . The official War Office document attached to his soldiers will, clearly shows that he was in the 1st Bn RDF at the time of his death on 24th April 1917. It is probable that Ernest Jarvis and the other 35 men from the Suffolk Regiment were only with the RDF for a few weeks before Ernest and some of the others joined the growing casualty list and his wife became another widow. CCR Murphy History of the Suffolk Regiment 1914-1927 ( Naval and Military Press 2009 ) pages 165 to 170. HC Wylly Neill’s Blue Caps volume 3 (Naval and Military Press ) pages 77 to 84.